An ultrasonic cleaner makes use of ultrasound technology and an ultrasonic cleaning solution or water to clean any items placed inside of it. This process usually only takes a few minutes, and when it is over the object being cleaned can be removed from the cleaner. Some gun owners are still skeptical of this cleaning process and they worry that an ultrasonic gun cleaner could damage their gun, but it is actually a very safe and effective way to clean the entire firing mechanism. During the ultrasonic cleaning process, cavitation bubbles are created by high-frequency waves that agitate the liquid. This action thoroughly removes any contamination from solid surfaces because the liquid is able to seep into even the smallest cracks and access areas that other cleaning methods would miss. 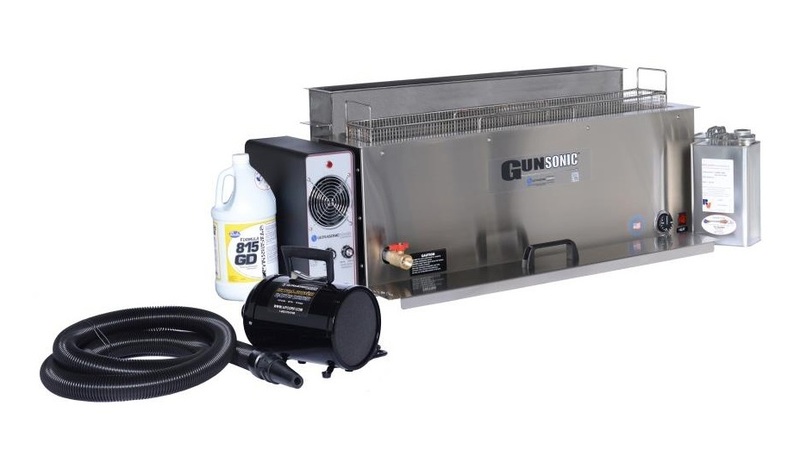 An ultrasonic gun cleaner is usually made up of a large steel container that holds a cleaning solvent. The gun is placed into this container, and after the lid is shut the cleaner is turned on and it begins the process described above. These gun cleaners come in a variety of sizes, and many of them are built to rest on a tabletop or clean multiple guns at once if they are used frequently. Many hunting stores sell ultrasonic gun cleaners in small sizes for personal use, along with the cleaning solvent that is required to use them safely with your firearms. Besides hunters and other individuals who own firearms, law enforcement agencies of many types use ultrasonic gun cleaners to keep their weapons clean. In any law enforcement role, you want to be absolutely sure that your weapon will not malfunction if you are ever in a situation where you are forced to use it. Effectively cleaning a gun on a regular basis will prevent it from jamming when in use. Using an ultrasonic gun cleaner is at least three-times faster than cleaning a firearm with more traditional methods, and it will inhibit the development of rust in all areas of the gun. Ultrasonic Gun Cleaners Ultrasonic gun cleaners are becoming an increasingly popular tool among firearms owners.